Car wrap advertising is one of the best ways to advertise your brand or company especially if your business targets locals in your area. 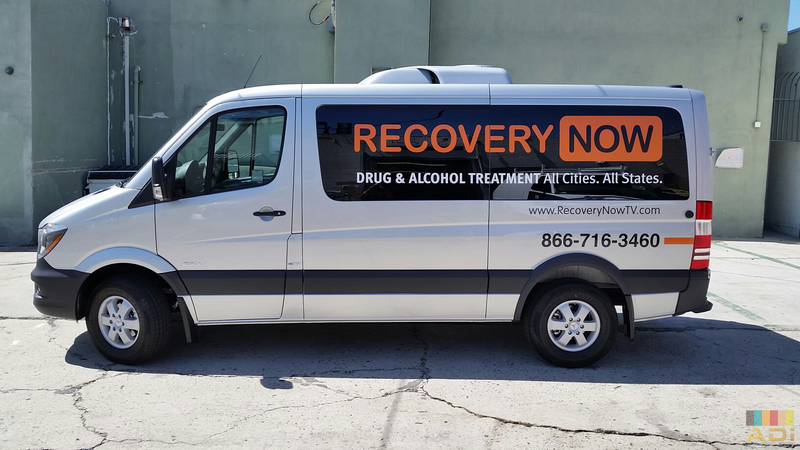 So if you’re running a food business, a service-oriented company, or you just want to expose locals to your brand, then look no further than car wrap advertising. If you use your vehicle mostly at night time, what you can do is to opt for graphics or vinyl that can be seen at night. There are special graphics that’s specifically made to be seen at night. This way, your marketing prowess doesn’t choose the “right” time. You advertise your business all day long. Reflective or even light-up signs along with your good old wrap is an effective method of nighttime advertising. If you’re relatively new in the biz, car wrap advertising is one of the best ways to increase your customers. More people will know about your brand and it is easier to reach out to a lot of people who are specifically looking for your product or service. Car wrap advertising lasts for up to 5 years. Of course if you don’t want to stick with one car wrap design for 5 years, you can easily have your wrap replaced. Underneath, your vehicle will remain the same – car wraps leave no marks at all, and in fact, it actually protects your vehicle’s paint job. So when you invest in a car wrap design, you also invest in your car. You extend your paint job’s shelf life and your car will have a layer of protection against scratches and other physical damages. Simply put, if you’ve got a small amount set aside for marketing and you want to target locals in your area, you simply can’t go wrong with car wrap advertising. Car wraps are a very effective form of outdoor advertising. A single car wrap ad can get up to 70,000 unique views in a day. Just make sure that you go for a trustworthy car wrap manufacturer and installer so you can enjoy your car wrap for the next five years. Remember, a car wrap can last for up to five years but only if you choose a company who knows what they’re doing. Depending on your budget, you can opt for full car wraps if you want to get the most bang for your buck or you can opt for partial wraps if you want something simple and less costly. Without further ado, here are our top tips to get the most marketing mileage out of your car wrap. If you want an effective wrap, make sure that you go big. Go for large fonts, large images, and large logos. Don’t be shy about the size of your wrap. Even smaller vehicles can benefit from car wraps that have bigger logos and fonts. Just make sure to hire a great designer who knows how to workaround these things. Larger details are easier to read even from a distance and truly makes an impact as well. Small and medium scale businesses will benefit from car wrap advertising because it is cost effective and not to mention attracts a large number of customers on a daily basis. So if you own a small or medium scale business, make sure that you strike the fine balance of informative but not too chatty. Put in your company, what you do, and how to reach you. If you’re active on social media, put in your Twitter handle or your Facebook page. If you can be easily reached via phone, opt for that instead. As for large businesses, all you have to do is to put an attractive rendering of your company brand or logo and leave it at that. In the world of advertising, less is more. So if you are relatively new to the scene and you want to make your services know to the public, limit it a very short list. Put up to 3 things that you do or products that you offer so potential customers aren’t overwhelmed. If you want your clients or potential customers to know the extent of your services and products on offer, lead them to a website or social media page instead. Whatever you do, don’t turn your vehicle wrap into a brochure. A lot of people are tempted to go the DIY route when it comes to car wrap advertising. But the thing is that nothing beats a professionally done car wrap when it comes to appearances and not to mention longevity. If you want your wrap to last for at least 5 years, go for a professional. Although you may have an attractive design in mind, a DIY job can make an otherwise amazing wrap to look less than stellar. Car wraps are incredibly popular. Research shows that a car wrap advertisement can be viewed for up to 70,000 times per day. It’s safe to say that car wraps are more than just a trend, in fact, car wrap advertising isn’t going anywhere. Even though a lot of naysayers thought that car wrap advertising will go big for a while and eventually taper down in popularity, in fact it’s quite the opposite. The fact that car wrap scams exist and a lot of people are still willing to give car wraps a go is a testament to car wraps’ staying power. In the earlier days of car wrap advertising, eye-popping 3D images were the way to go. If you wanted to impress both existing and potential customers, you have to go big or go home. But nowadays, if your company’s brand identity doesn’t go well with eye-popping 3D images, you can go for a more minimalist approach. You can play with textured wraps (or printed wraps that look textured) and incorporate that into your overall marketing campaign. For example, if you’re a real estate agent and you frequently go around town and decided to go for a car wrap, you can incorporate faux-textures like brick and wood. Or you can also opt for real textured wraps like leather, and so on. Partial accent wraps are great for adding a bit of flair to an otherwise plain vehicle. Partial accent wraps can also work great for vehicles that will serve as a mobile advertising billboard. Both private and commercial vehicles are looking into partial accent wraps because it is a cheap yet effective solution for when you want to have a nice looking vehicle but you have a budget to stick to. This is great for when you do want to advertise your services and highlight your vehicle without having to spend a fortune. 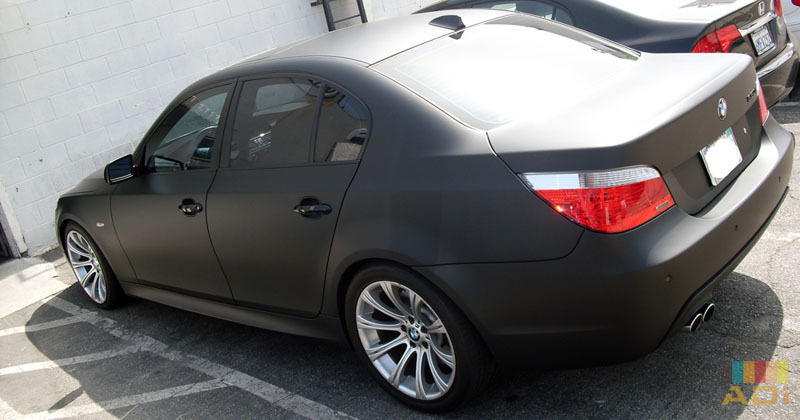 Another vehicle wrap trend that’s staying strong is the matte color trend. A bit of an update to the old trend, combining two colors instead of using just one is a great way to attract attention in a good way. You can use two contrasting colors or simply make use of your company logo’s colors. This is a good way of attracting people’s attention even from a distance. Lastly, make sure that you make use of the trends but incorporate good design elements as well. Stick to simple designs that are large and easy to read even from a long distance. If you’re going for loud colors or graphics that may not be to everyone’s liking, make sure that it’s not just for simply grabbing someone’s attention. At the end of the day, you have to make sure that what you’re churning out is reflective of your company or your brand. Does planning a marketing strategy stressing you out? The great thing about car wrap marketing is that it only involves a few steps. And even though marketing your business or brand may seem like a daunting task (especially if you’re a brand new company or a start up), remember that car wrap advertising is one of the easiest forms of advertising to manage. Even though you need 8 hours or sleep or more, you can simply park your vehicle in a strategic manner so passers by can see your message no matter what time of day. Without further ado, here are the easy things you can do to make the most of your car wrap ad. Make sure that your car wrap ad is interesting even for people who aren’t going to be direct customers. Make your graphics unique and your selling point hard to resist. Say, if you want people to like your Facebook page, make it worth their while. Give freebies to the 1,000,000 liker or run a contest and advertise it on your wrap (and then tie it up with your existing social media campaign). Make sure that you have a car wrap design that ties up with your main goal. Whether you want to have more sales or simply just be remembered as the go-to service provider in your area, then make sure that your message is direct to the point and can be easily understood even from a few meters away. If you have a product-based business, then you might want to go around town and give samples to people. This way, people will have an easier time of remembering your brand and they’ll have an easier time at trusting a new brand. But for established brands, this is also a good way of reminding people that you exist and that you sell excellent products. Say, you can run a promo wherein people who live Tweet your location (along with a hashtag and a photo) can get free samples or other freebies. This is a good way of letting other people promote your products or services while getting traction both offline and online. If you know where the big events are, then that’s a good place to park your vehicles. Make sure that you know where to park your wrapped vehicle so you get the most mileage out of you ad. There are different kinds of outdoor advertising mediums, but, today we’re going to focus on two of the most effective mediums out there: billboard and car wrap advertising. So how can you create effective billboard and car wrap ads that grab the attention, have a strong brand recall, and isn’t costly to create? Just take note of these 8 things. If you want to use words to make an impact, make it count. And by make it count, we meant to say that you should only use a maximum of seven words. If your ad is interesting and really grabs the eye (without relying on cheap tricks), then customers will seek you. Ask yourself what your company/brand really needs: more callers, more Facebook views/likes, or more people to walk inside your brick and mortar store? Just settle on one. Too many words/letters will just add to the visual clutter (unless of course that’s part of your ad’s design!). A lot of people mistake laziness from good design. Just putting your logo on a car wrap is one thing. Strategically placing your logo so it can be seen from all angles is good design. Some people often mistake minimalism for something that’s far too plain. Minimalism is actually great for outdoor design. If you run a restaurant and you’re known for your exquisite roast chicken, imagine seeing a billboard ad that has an image of a roasting chicken on a plain black background. Imagine the same ad while you’re about to decide where to dine with the family. See where we’re getting at? While you’re still in the designing process, determine the basic colors you can use for your brand. Come up with contrastic colors and special fonts. Plain fonts such as Arial, Times, or Helvetica can be easily skimmed through and won’t attract the viewer’s attention. So make your fonts count. Remember that there’s a reason for typography’s revival: it grabs people’s’ attentions. Ads that rely on neon colors, cheap visual trickery, and related design tricks will never be remembered in the long run. Unless of course the visual trickery involved directly adds to your brand’s overall message and value. But if it doesn’t, go for direct visual marketing strategies. Lastly, don’t rip off from other ads. Ads that try to be witty and mimic other brands or make fun of rival companies are never going to be remembered. It might be initially witty but it doesn’t add to your brand’s overall message.